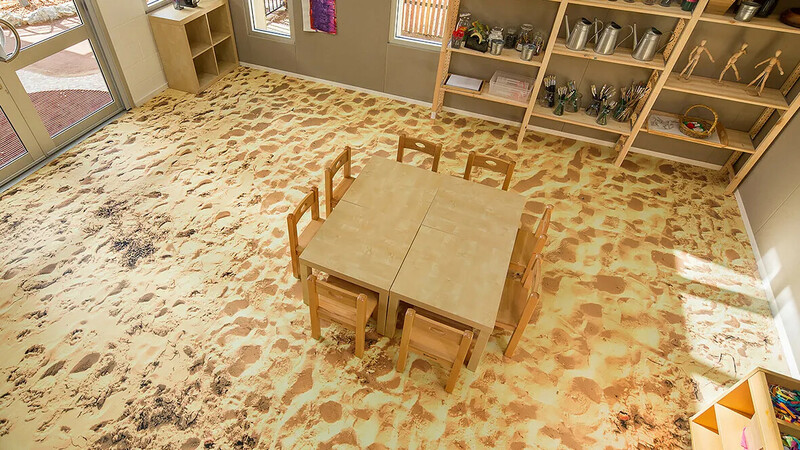 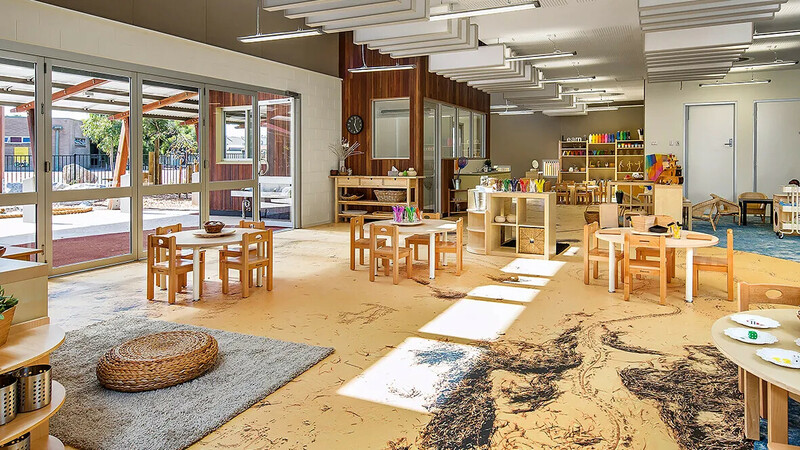 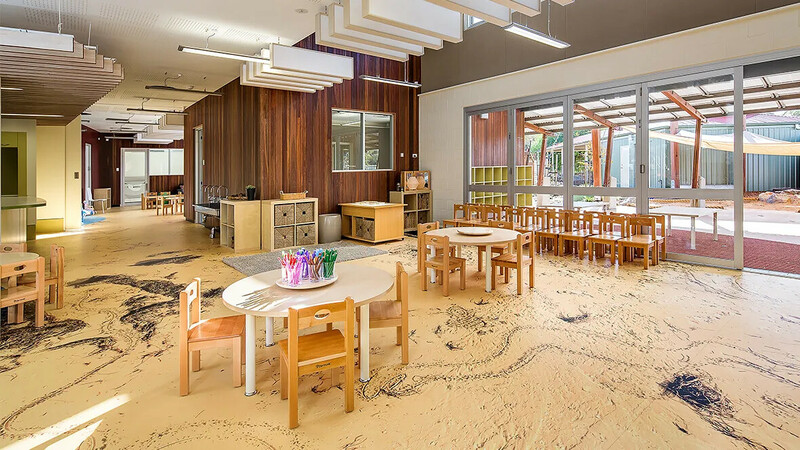 The Aldinga Children's Centre is a 65 place, indoor and outdoor learning environment for children in years 3 to 5 incorporating an integrated preschool program for children with disabilities as well as occasional care. 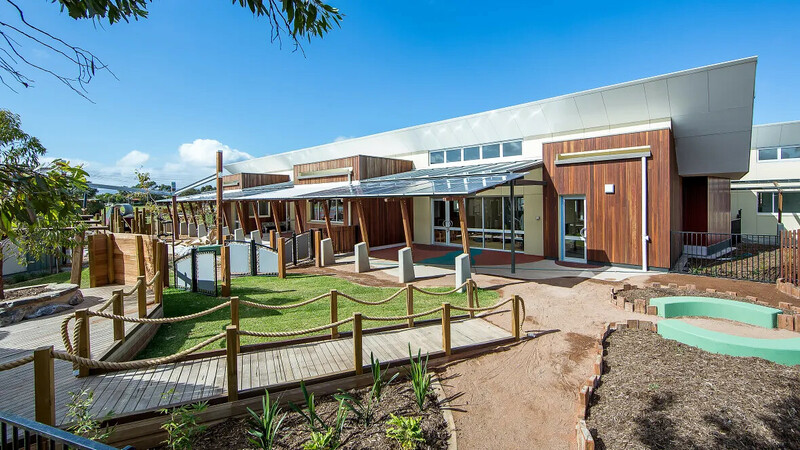 A seaside theme suffuses the outdoor activity area which provides opportunity for natural play with a series of landscaped rooms each with their own character, textures, scents and sounds. 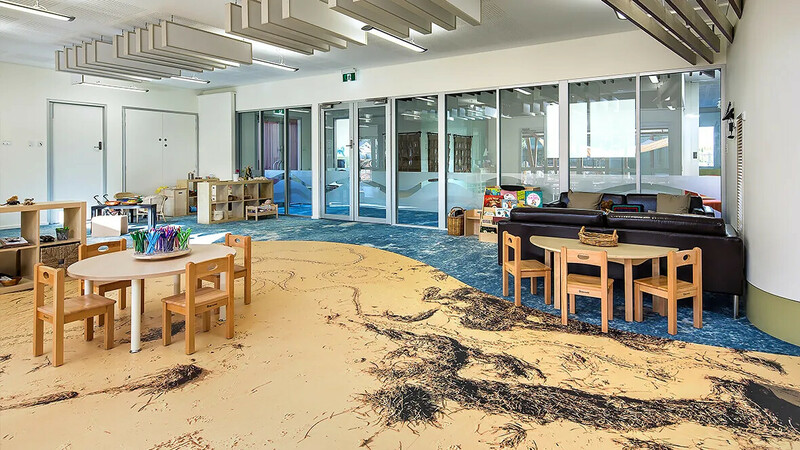 The beach theme flows indoors with the timber 'jetty' ceiling suspended above the watery carpet. 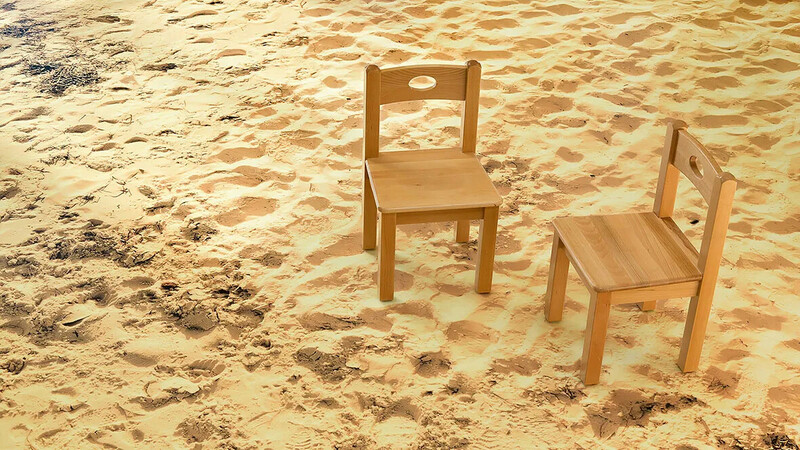 A sandy beach which meets the water's edge to form a sinuous line weaving through the different activity areas.